Hi Anne Greene here. This month I’m exploring information about the first Private Investigation Company, the Pinkertons. 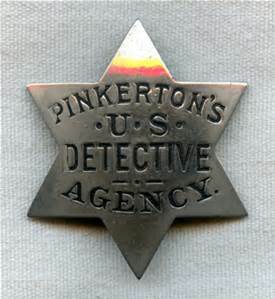 The Pinkerton National Detective Agency began long before there was a Federal Bureau of Investigation. Founded in the early 1850s by Scottish immigrant Allan Pinkerton, the Pinkertons were America’s first private police force. They gained prominence by hunting down Old West outlaws and train robbers. But they also worked as presidential security, intelligence operatives, and as management muscle during labor strikes. They ushered in the modern era of law enforcement. Alan Pinkerton became a detective by accident. In 1842, Allan Pinkerton immigrated to the Chicago area and opened a cooperage, or barrel-making business. His detective career began just five years later, when he stumbled upon a band of counterfeiters while scrounging for lumber on an island in the Fox River. The Scotsman conducted informal surveillance on the gang, and was hailed as a local hero after he helped police make arrests. “The affair was in everybody’s mouth,” he later wrote, “and I suddenly found myself called upon from every quarter to undertake matters requiring detective skill.” Pinkerton soon won a gig as a small town sheriff. He went on to work as Chicago’s first police detective and as an agent for the U.S. Post Office. 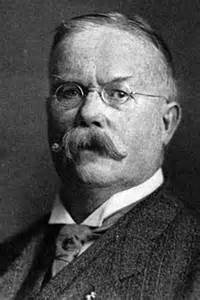 Around 1850, he opened the private investigation firm that became the Pinkerton National Detective Agency. The Pinkertons inspired the term private eye. 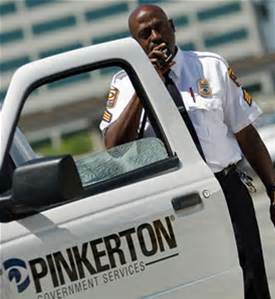 The Pinkerton agency first made its name in the late-1850s for hunting outlaws and providing private security for railroads. As the company’s profile grew, its logo—a large, unblinking eye accompanied by the slogan “We Never Sleep” started the nickname private eye for detectives. Shortly before Abraham Lincoln’s first inauguration in March 1861, Allan Pinkerton traveled to Baltimore. The detective was investigating rumors that Southern sympathizers might sabotage the rail lines to Washington, D.C. While gathering undercover intelligence, he learned that a secret group planned to assassinate Lincoln, as he switched trains in Baltimore on his way to the capital. Pinkerton informed the president-elect of the alleged plot. With the help of several other agents, Pinkerton arranged for Lincoln to secretly board an overnight train and pass through Baltimore several hours ahead of his published schedule. Pinkerton operatives cut telegraph lines so the conspirators couldn’t communicate with one another. The president-elect arrived safely in Washington the next morning, but his decision to skirt through Baltimore saw him labeled a coward in the press. None of the would-be assassins was arrested, leading some historians to wonder if the threat had been exaggerated by Pinkerton. Allan Pinkerton was a Union man and during the Civil War organized a secret intelligence service for General George B. McClellan’s Army of the Potomac. Pinkerton set up spy rings behind enemy lines and infiltrated southern sympathizer groups in the North. His agents interview escaped slaves to glean information about the Confederacy. Pinkerton’s group produced reams of intelligence, but not all of it proved accurate. During the1862 Peninsula Campaign Pinkerton reported that the Confederate forces around Richmond were more than twice their actual size. McClellan believed the faulty intel, and despite outnumbering the rebels by a large margin, he delayed his advance and made repeated calls for reinforcements. During the era of frontier expansion, express companies and railroads employed the Pinkertons as Wild West bounty hunters. The agency infiltrated the Reno gang—perpetrators of the nation’s first train robbery—and chased Butch Cassidy and his Wild Bunch. The Pinkertons usually got their man, but in the 1870s, they spent months hunting for bank robbers Jesse and Frank James. One of Pinkerton’s agents was murdered trying to infiltrate the James gang, and two more died in a shootout. The hunt came to a bloody end in 1875, when the Pinkertons launched a raid on the James brothers’ mother’s house in Clay County, Missouri. Frank and Jesse were gone, tipped off, but the Pinkertons got into an argument with their mother, Zerelda Samuel. During the standoff, one of the detectives’ posse tossed an incendiary device through Samuel’s window. The bomb blew part of Zerelda’s arm off and killed the James brothers’ 8-year-old half-brother. The botched raid turned public opinion against the Pinkertons. After seeing his detectives denounced as murderers in the papers, Allan Pinkerton ended his war against the James gang. But the Pinkertons revolutionized law enforcement with their Rogues’ Gallery, a collection of mug shots and case histories that the agency used to research and keep track of wanted men. Along with noting suspects’ distinguishing marks and scars, agents collected newspaper clippings and generated rap sheets of each wanted man’s previous arrests, known associates and areas of expertise. Not until the 20th century was a more sophisticated criminal library assembled with the birth of the FBI. After Allan Pinkerton died in 1884, his two sons, Robert and William took control of his agency. The company continued to grow under their watch, and by the 1890s, it boasted 2,000 detectives and 30,000 reserves—more men than the standing army of the United States. The agency still exists today. Have you ever wanted to become a lady detective? Do you know any detectives? Who is your favorite detective writer? 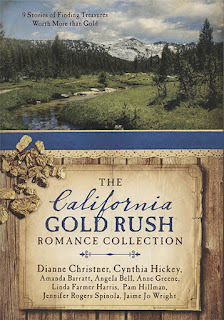 LEAVE A COMMENT FOR A CHANCE TO WIN A COPY OF THE CALIFORNIA GOLD RUSH ROMANCES. Anne’s story is The Marriage Broker and The Mortician. Not everything that glitters is gold in California gold rush country. The Marriage Broker has a passion for helping others find the love of their life, but she has no desire to prospect that mine herself. Can a wealthy Mortician surrender his livelihood to win the spunky Marriage Broker who has no desire to lose her freedom? Eve, a spunky Irish orphan takes on the responsibility for six 18-year-old orphan girls sent to live on their own. She procures husbands for them from the gold mine country of California. Visionary thinker and Mortuary owner Rafe Riley needs a wife for his showy home in Eureka, California, and to console his grieving clients. When Eureka’s mayor campaigns to win Eve for his wife, Rafe ramps up his own efforts to win Eve. Will he give up the mortuary business and gold prospecting to win her hand? I've watched several different detective shows. I think that forensics intrigues me the most. Thanks for the opportunity to win this book, I love the cover! Thank you for sharing this most interesting post. I have never wanted to be a detective myself, but I love to watch tv shows where the crimes are solved. Great detective work going on there! Colombo was a good one! Very interesting post, Anne. I remember reading Nancy Drew books but never wanting to be a detective. However, I still enjoy suspense books, especially the ones that you just never can figure out until the end. Thanks for the giveaway. I LOVE the Pinkerton Detectives!!!! Thank you for this fascinating post! I love Pauley Perrette's character Abby Sciuto on NCIS. I've read several historical fiction novels featuring Pinkerton agents, most of those being female. I think it would be a fascinating career, but I'm not sure how good I'd be at it...lol! Wow! This was so interesting! I've watched and read a LOT of westerns and you always hear of the pinkertons, but I never knew how they originated or how they influenced our modern FBI. Really neat! No, I've never wanted to be a lady detective in particular (though who hasn't imagined being one a time or two? ), but I do love a good crime-solving mystery! p.s. Just thought I'd throw out there how much I LOVE these Barbour collections! In fact, I collect them (collecting a collection of collections...huh). So I'm SUPER excited for this giveaway! Yay! CONGRATULATIONS, Caryl Kane, you won an autographed copy of The California Gold Rush Romance Collection with my story THE MARRIAGE BROKER AND THE MORTICIAN. Thanks so much all of you for your comments. This is my last blog on Heroes, Heroines, and History. 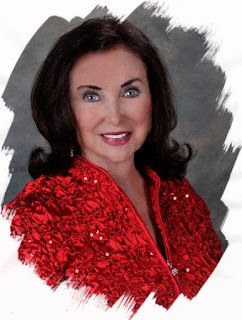 To read my own blog and have a chance to win more of my books, go to AnneGreeneAuthor.com or anneswritingupdates.blogspot.com. I HOPE TO SEE YOU THERE. Anne, I am THRILLED to have won! Thank you so much!!!! !